WAUCONDA, Wash. – John and Tree Kiesecker had quit their day jobs, he as an orchardist and she as a nurse, and were scrambling to make ends meet when they heard about the free business advising services of the Washington Small Business Development Center. 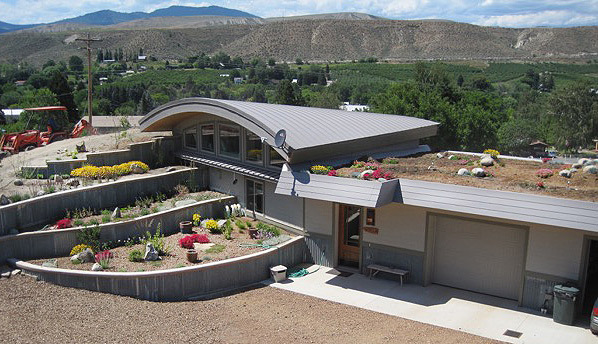 They made an appointment to talk with Lew Blakeney, the SBDC advisor in Okanogan County. The Washington SBDC is supported by Washington State University and the U.S. Small Business Administration and receives additional support from other institutions of higher education and economic development. Blakeney’s work in Okanogan is supported by the Economic Alliance of Okanogan County. The Kieseckers explained that they wanted to be in business for themselves but weren’t sure what that business would be. “What’s your goal?” Blakeney asked them. To make $50 a week for groceries, work hard, be as self-sufficient as possible and be masters of their own fate, they replied. 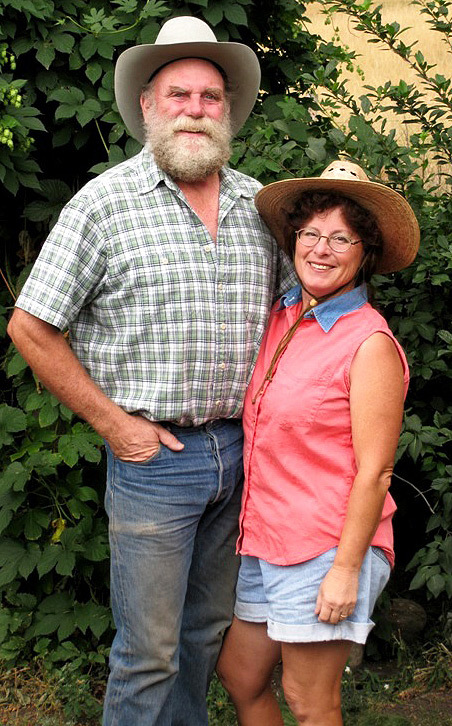 They were still in the “trying things out” stage, Tree said, with John raising 40 cattle on their 560-acre ranch and doing forestry and ranch work while she made jams, jellies, lotions, soaps and other gift items that she sold at farmer’s markets and local stores. 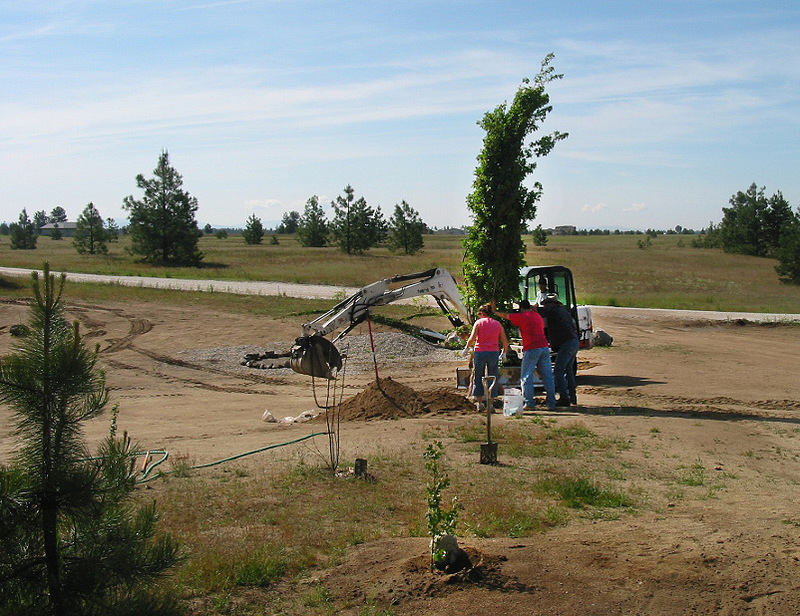 A Plain-N-Simple job: Planting native shade trees for a client. Blakeney suggested they write a business plan – even while their plan was still evolving – and make a list of values they wanted their new business venture to embody. When you look for new opportunities, he said, make sure they align with your values. Their list of values included caring for their family, working as a team, taking pride in high-quality work, being honest in their dealings, working outdoors, preserving and restoring things of value, creating sustainability, communicating clearly and consistently, being creative and earning financial rewards. That’s when they came up with Plain-N-Simple (http://www.plain-n-simplellc.com/). Over the next several years the Kieseckers continued working at a variety of different jobs, Tree said, but yard work and pruning jobs turned into landscaping and then the landscaping jobs got bigger. They discovered that creating beautiful gardens or landscapes for their clients was satisfying work that matched their core values. They particularly enjoy shining up neglected gems or rescuing entire gardens. As the landscape projects got bigger, they realized they needed a new business plan – and business systems and procedures that would keep them on track. Terraced and rooftop gardens by Plain-N-Simple. 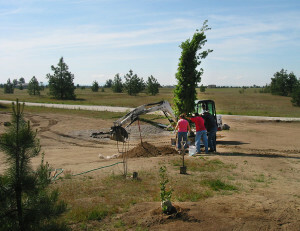 “Lew helped us put together a contract for services for use with landscaping customers,” Tree said, “and boy, oh boy, has that saved us.” Blakeney also worked with them on how to bid jobs, introduced them to “change orders” and talked them through filing a lien for non-payment of services. Blakeney encouraged the Kieseckers to do more advertising, but Tree said she and her husband prefer to get most of their jobs by word of mouth. By working mostly through referrals, she said, they are more likely to work with clients who know their work and appreciate their way of doing business. “We choose our clients as carefully as we choose our employees,” Tree said. Though she and John do most of the work themselves, they do hire additional people for bigger jobs. Business owners John and Tree Kiesecker. In a letter to Blakeney earlier this year, Tree wrote that in reviewing the past 10 years, “we can’t help but see all the pitfalls that would have most likely taken out our company” if not for Blakeney’s advising. From those early days when Tree set a goal of making $50 a week, the Kieseckers have been able to set their sights higher: health insurance, car repairs, children’s braces and, this year, helping with college tuition for one of their daughters. They aren’t getting rich, Tree said, but they are their own bosses, they enjoy their work and they can provide for their family, which was their goal from the beginning. It’s that plain and simple. The SBDC office in Okanogan County is located at 320 Omak Ave, #400, Omak, and Blakeney’s phone is 509-826-5107. For more about the SBDC, see https://wsbdc.org/.